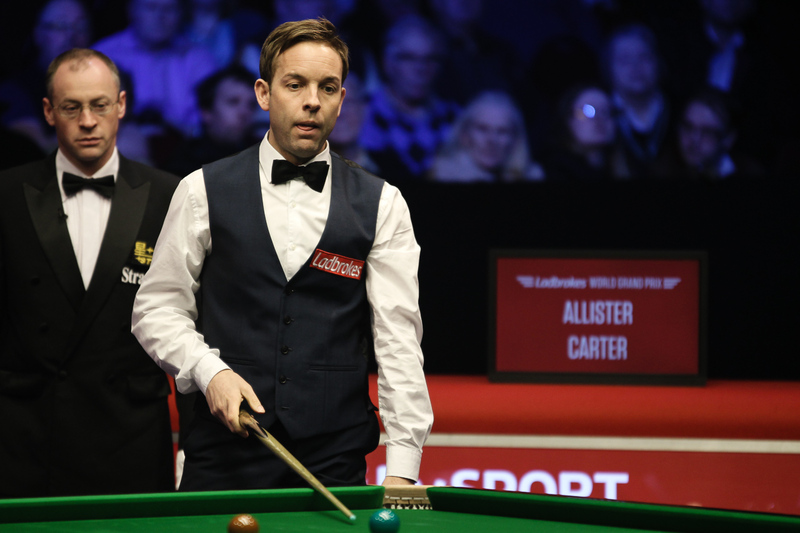 Ali Carter scored one of his best results of the season with a 4-1 win over Judd Trump to reach the quarter-finals of the Ladbrokes Players Championship in Manchester. World number six Trump was outplayed by his opponent and is left waiting for his first ranking title since the 2014 Australian Goldfields Open. He won the opening frame with a break of 62 but Carter then took control to win four in a row with top breaks of 72, 112 and 57. He now faces Marco Fu or Ricky Walden. Ding Junhui moved into the top 16 of the projected rankings with a superb 4-0 thrashing of Michael White. Ding was 19th on the projected list just a few weeks ago but by reaching at least the quarter-finals of three consecutive ranking events he has now moved above fellow Chinese cueman Liang Wenbo into 16th place. If he’s still in that bracket by the end of next week’s China Open he’ll avoid having to qualify for the World Championship. A superb 143 total clearance, the highest break of the tournament so far, gave Ding the opening frame today and he added the next three against an out-of-sorts White with top breaks of 62 and 80. Mark Allen booked his place in the next round with a 4-2 defeat of Mark King. Northern Ireland’s Allen scored a top break of 119 as he earned a tie with Mike Dunn.